Any hunter knows that hunting is about much more than the gun you use. In fact, a good hunting knife can be more difficult to find than a good gun, so once you are able to find the best hunting knife, you will want to keep it forever. ​Of course, nothing is worse than purchasing something blindly and then hoping for the best. Or worse, wasting your time searching through all the wrong options. The Cold Steel Ultimate Hunter folding knife, this hunting knife is an absolute beast. When it comes to picking a hunting knife, I have some basic needs. I want a knife that will stay sharp, I want a drop point blade and I want a knife that is easy to clean. This knife fits all 3 of the basic needs! ​The blade is 3.5 inches long and made from CTS-XHP steel. The edge retention on this type of steel is superb, I would say even more so than that of S30V. This is critical for me, I want a knife that is going to stay sharp throughout the duration of the cleaning process. This knife will! ​The only downside, this blade is hardened to about 61 HRC, which means when it comes time to sharpen the blade, its going to take some work. ​The drop point is just icing on the cake, for my hunting knife I’ll always lean towards a drop point. Its really just a personal choice of mine. ​I feel like the drop point makes slicing open the body cavity easier for me, without the worry of nicking any internal organs. ​The G-10 handles are comfortable, they feel smooth but still allow a secure grip with wet or bloody hands. Along both sides of the handle is a finger notch, or cut out that allows your thumb and index finger to rest on each side. ​The Ultimate Hunter is equipped with the Tri-Ad Lockking system, one of the safest and strongest locking mechanisms out today. Not only is this knife an amazing tool, but it has many unique and distinct features, which make it stand out from the competition. ​The blade is made of carbon steel, and is finished with a black textured powder coat, giving it a really sleek and classy design. ​What sets this knife apart is the Micarta handle material, known for being high end and a great quality material. The handle is also removable, and has a bow drill divot. ​The sheath of the knife is made of Kydex, with an overall blade length of 10 inches. What’s really unique about this knife is that the sheath is ambidextrous, meaning it can be used by both right handed and left handed people alike. ​The size also makes it incredibly easy to control, something any hunter is looking for. The precision with which users are able to maneuver this knife also makes it the best skinning knife in my opinion. ​The blade is made of premium stainless steel, and the handle is made of Dymondwood. Dymondwood is known for being extremely durable as well as water-resistant. ​This knife also happens to be great cost-wise, making it the best hunting knife for the budget-conscious hunter. ​The blade is 2.67 inches long at 0.14 inches thick, making it perfect for larger, perhaps more difficult tasks. ​An added bonus of Benchmade knives is that they have lifetime warranty and their LifeSharp service. No hunting knife list is complete without the Buck 110, its been a staple of hunting knives for years. Copied by many, but never truly duplicated. ​The Buck 110 has probably field-dressed more game than any other knife in existence. Its a large knife and its carry options are limited so for me the buck 110 stays in my pack. It’s meant to be a sheathed carry knife so if you like to carry on your belt this would be a perfect choice. ​The Buck 110 sports a 3.75″ blade made from 420HC, so it’s classified as a low to mid-range steel. Buck uses a quality heat treatment on their blades so they can really bring out the best in their knife blades. ​HC means the steel is high carbon which makes the steel harder, but resists corrosion better. It can be a little on the tough side to sharpen, but will keep its edge for much longer. ​This knife is actually hand-made, and built with German manufactured steel. It's an incredibly sturdy knife, something you would want to pass down to your son as an heirloom piece. ​Of course, a beautiful knife such as this one comes with a leather sheath to protect your knife and make it easy to store and transport. It also comes with brass finger guards, as well as brass-lined lanyard holes. Both of these are features that are guaranteed to be the highest quality. ​One word of caution: this knife may not be best suited for people with smaller hands, as the handle can be a bit uncomfortable. Overall though, this is a sturdy, quality hunting knife. ​This knife folds down to just 5 inches long when it is closed, with a 3.5 in blade. It also has a convenient one-handed opening that will lock open for you. ​Buck Knives offers a lifetime warranty on nearly all its products, including this knife. You'll never need to worry about wasting your money or investment if something were to happen. ​However, any problems or defects with this knife are unlikely. This is a well built knife and there are plenty of positive reviews to back that up. ​You can rest assured that with the S30V blade steel, edge retention will not be a problem. This knife will be able to maintain its sharpness for long periods of time. ​If you only plan to hunt and process smaller game, this knife will be ideal for you. I wouldn’t recommend it if you are going to process larger game such as deer, as it doesn’t have much in way of finger protection. 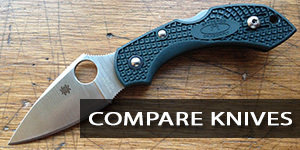 ​However, for the incredibly small price, this knife is a great value that can’t be beat. The handle is made of beachwood, one of my personal favorites, and the sheath is made right here in the United States out of top grain leather. ​This is one of those knives you can carry around in your pocket and use to perform everyday tasks, then take with you hunting on the weekend. All these knives offer an amazing quality and value, and any one of them would be a great addition to your hunting gear. ​Now that I have shown you what is available and have listed what I consider to be the best hunting knives out there, the decision is up to you. ​Just like anything in life, the decision will come down to a combination of personal preference and how you intend to use your hunting knife. ​We have looked at products that are modern and innovative, as well as classic and traditional, all of which are solid choices in a hunting blade. ​Of course, the main goal of any hunting knife is the same: to process meat after a kill. But in addition to the obvious, it is important to buy something that you feel is going to be an investment and will last a long time. We bought this knife this month and we are very happy we did. Brian got his first deer and he exclaims ” this is the best knife for the job and skinned and gutted the deer like cutting through butter” highly recommend this knife for hunting! Hey, I am a massive fan of your website. I really like your blog! I am a mad keen angler & hunter so your stuff really appeals to me. Fish & hunt on! Thx.